A Great Advertising Tool or Put Them by the Pool! These lighted Palm Trees will make your business stand-out like a landmark. Impress your friends & family with these lighted palms which add so much to the decor of your backyard or business. Our Lighted palm trees come in Blue, Green, Orange, Purple, Red, Yellow and Pink to advertise any business. Our Lighted Palm Trees have been shipped to some areas with extreme weather conditions including; Canada, Michigan, Mexico, California and the Bahamas. Our trees stand up to snow, rain. 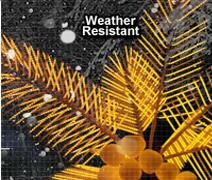 Our rugged steel inner pole will withstand even the highest winds. Our Coconut and our Classic Royal Lighted Palm Trees can be used during all seasons. Purchase at least 3 lighted products and receive a discount. 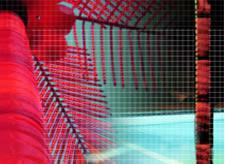 Buypalmtrees.com offers you the best value, the best prices and the best service. 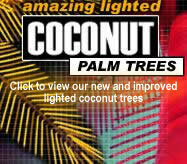 We supply you with the original lighted palm trees. Accept Absolutely No imitations! Would you like to become a Lighted Palm Tree Dealer? Call us now at 239-277-0009.